Stitch Tour is Back! Gearing up for Round 2… with giveaways! Hi everyone! Super excited to be back from my honeymoon (which was lovely!) and to get started on the second half of the Stitch Blog Tour! And in case you missed it, remember to check out the Stitch Movie “Dream Cast” at Kindred Dreamhart to see who I’d cast to play the main characters in a film! Something different about this book compared to others is that there’s always that sort of ‘air of mystery’ hanging around the campus. You never know what’s going to happen next, and that’s what makes it so exciting and hard to put down. Don’t miss the rest at at MoniqueMorgan.com! And stay tuned for posts about upcoming new content! BIG STOP on the tour day! It’s my wedding day (ahh!! ), so to celebrate, we’re having 3 stops today and doing a big giveaway at each of them: first, a signed print copy at Doodle’s Book Blog, next a 3 e-book giveaway at Wickedly Bookish, and finally another 3 e-book giveaway at Kindred Dreamhart. What made you decide to have the last day of your book’s tour coincide with your big day? Stitch released on August 1st and we started the tour shortly after on the 15th, so I just figured, why not? I’m so excited about the book AND about the wedding, so this gives me an opportunity to celebrate everything all at once! And we have a guest post at Kindred Dreamhart featuring the “Stitch Movie Dream Cast” – who I would cast in the roles for Alessa, Isaac, Janie and Joe if I had my choice of actors! And that’s it! Be sure to check out all the stops today and don’t forget to enter those giveaways while you’re there! Big thanks to Emily, Jessica, and Katrina for helping me to celebrate by hosting today!! And now, I’m off to get MARRIED! See you on October 1st when we continue the tour following the honeymoon hiatus – if you need a Stitch fix while we’re gone, check out any stops you might have missed: full schedule here. Swing by Hopelessly Devoted Bibliophile today for a guest post on my top anticipated books of 2012, along with a review and e-book giveaway at A Written Rhapsody! I think this book was a great setup novel for future books in the trilogy. Though I think I have an inkling into what some storylines will be in future books, I can’t wait to see the characters again. I hope we’re introduced to some characters again later *cough*Nikhil*cough* because I was definitely curious about a few of them. The rest is up at A Written Rhapsody – don’t forget to enter the e-book giveaway while you’re there! 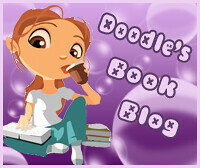 And remember to check out Hopelessly Devoted Bibliophile if you’re looking for some new reads to add to your shelf! Big thanks to Jessica and Preet for hosting!! Tomorrow is my BIG DAY (wedding time!!) and to celebrate, we’ve got tons of giveaways and 3 (count ’em!) stops: Doodle’s Book Blog for a review and giveaway of a signed print copy, Kindred Dreamhart for a guest post (“Stitch Movie Dream Cast”) and giveaway of 3 e-books, and Wickedly Bookish for an author interview and ANOTHER 3 e-book giveaway! Don’t miss it! We all know we shouldn’t judge a book by its cover, but let’s face it: how can you not? I can tell you with certainty that the cover is a HUGE part of getting readers interested in the book. In fact, I would estimate that at least 20% of the bloggers I’ve contacted (that’s one out of every five) have mentioned that the cover influenced their decision to review my book. And that’s only the people who told me! We feverishly go through the end of the novel, and we realise that the story has only just begun as we finish the story and crave for more. I haven’t seen a cliffhanger like this one in a while, one that leaves you desperate. HUGE thanks for Darlene and Gina for hosting! Tomorrow we’re going to Hopelessly Devoted Bibliophile and A Written Rhapsody for a guest post on my top books of 2012, a review, and a giveaway! The intricately crafted story allows readers to learn everything needed to understand the purely imaginative world proposed. There are subtle hints from the very beginning that all is not as it seems and Durante expertly executes the characters’ actions and reactions to create a strong, entertaining plot filled with mystery, romance, and danger. 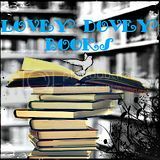 Thanks so much to Candace for hosting and don’t miss the rest at Lovey Dovey Books! Also remember to take a stroll over to Reading by Kindle Fire to check out the guest post where Janie and Alessa recount their hilarious first day at Eastern State University, and enter the 3 e-book giveaway at the end of the post! Thanks also to Ning for hosting! 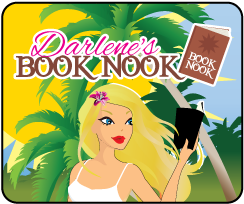 Tomorrow we’re going to Darlene’s Book Nook for a guest post about designing the Stitch cover and another 3 e-book giveaway, and then to Behind A Million and One Pages for a review! The premise of the world Durante has built was very interesting and while it incorporated many aspects that have shown in other post-apocalyptic novels none have woven so many different threads and ideas into one story in such a unique way. Check out the rest at Tea, Daydreams and Fairytales, and don’t miss the author interview which touches on the inspiration for Stitch, why I self-published, and some juicy details about my upcoming wedding! Thanks to Philippa for hosting! We’ve also got another review at Silent Seasons! Head over there to check it out. Thank you to Ashwaq for hosting! Stay with the tour tomorrow as we go to Lovey Dovey Books for a review and Reading by Kindle Fire for a guest post from Janie & Alessa AND a 3 e-book giveaway! I really enjoyed this book. I was riveted by Stitch…glued to my Kindle until the very end. If you haven’t guessed it, I read every free chance I had. Check out the rest over at Every Free Chance Book Reviews, and don’t forget to enter the giveaway and read the guest post as well! Huge thanks to Chrissy for hosting! Today is also the very last day to enter the print copy giveaway at SupaGurl Books! With only 25 current entries, chances are in your favor! Tomorrow we’re kicking off the DOUBLE DAYS countdown to my wedding on the 15th! We’ll have 2 stops every day featuring reviews, interviews, guest post, and of course, GIVEAWAYS! Stick with us tomorrow as we head to Tea, Daydreams and Fairytales and Silent Seasons for two reviews and an interview! What a great debut novel by Samantha Durante! Stitch was nothing what I expected. I purposely stayed away from the reviews and blurbs because I wanted to experience this novel from a fresh perspective. So color me impressed when I thought I was jumping into a paranormal ghost story, then later to discover there was a dystopic twist to the world building, and ultimately deciding it was probably more scifi because of certain unique elements Durante weaved into her story-telling. Read the rest over at WinterHaven Books! And don’t miss a great author interview that touches on reality TV creepiness and who the Stitch characters are based on! Tomorrow we’re stopping by Every Free Chance Book Reviews for another review, a guest post on “Overcoming the Self-Published Stigma” and a 3 e-book giveaway – see you there! I LOVED this book! It has one of the best dystopian settings I have read. Samantha Durante is an extremely talented writer who has written an impressive debut novel. Stitch keeps you on your toes. Stitch is a great book which creates a world you will quickly become adsorbed in. I found it hard to put Stitch down as there is constantly so much going on I just wanted to find out what was going to happen next. I look forward to the next two books in this trilogy. Read the rest at Books for Company and Little Hyuts, along with an author interview that touches on dystopian rebellion, the challenge of world-building and twist-timing, and my favorite mid-writing snack. Head over there to check everything out! Big shout-out to Jill & Jodie for hosting! 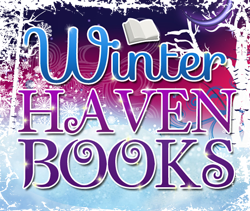 Tomorrow we’re at WinterHaven Books for another interview – it’s a good one, so don’t miss out! Get ready for an incredible adventure that will blow your mind with every twist and turn. Wow. Samantha Durante knows how to shock readers, that’s for sure! Don’t miss the rest at Falling Books! Huge thanks to Sam for hosting!! Also, don’t forget that today is the last day to enter at The Cover Contessa for an e-book giveaway! Tomorrow we’re stopping by Little Hyuts for a review and author interview and Books for Company for a review – see you then!